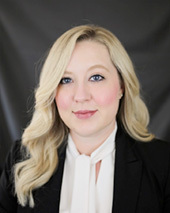 The newest Associate with Taylor, Pigue, Marchetti & Blair, Lauren M. Poole joins the team with her primary area of practice directed to civil litigation, including bankruptcy and creditors’ rights. Lauren earned her Doctorate of Jurisprudence in May 2016 from Belmont University College of Law where she was an integral part of its third graduating class. While a student, Lauren was Vice President of the Women Law Students Organization. She also holds membership with the American Inns of Court, American Bar Association, and was an active member of the Student Bar Association. As Lauren joins the firm as a new Associate Attorney, she’s already well acquainted with the practice having served tpmbLAW as a summer law clerk and paralegal since 2013, while working her way through law school. Today, her familiarity with the firm will serve her well as she takes on more direct responsibility for clients. Lauren earned a double major in Political Science and Studio Art from the University of Tennessee. Notably, her original artwork is displayed as part of the University’s permanent collection. She is a contributing author and member of the Nashville Bar Journal editorial committee and was recently honored by the Nashville Bar Association as the 2018 Contributor of the Year. She's an active member of the board of Turnip Green Creative Reuse. Lauren resides in Nashville and when she’s not working, you might find her oil painting, on a road trip adventure or practicing yoga.